An interesting development was seen in a study on the subchronic toxicity of purple corn (particularly its extract for coloring). The term “sub chronic” means the bad effects after subjecting lab animals repeatedly to certain chemicals. In this case, the lab animals (rodents) were subjected to repeated feeding of the purple corn extract to see if it has any toxic effect. The rats were fed the purple corn extracts for 90 days at various levels–from 0% to 1.5% to 5.0%. There were no changes noted in the body weight of the rats that were treatment related, as well as their appetite, eye capacity, blood, weight of the body organs, and histopathology. However, staining on the rats’ fur were noted and black feces were seen from the groups that received the 1.5% and 5.0% extracts. The rats that got the 5% were particularly noted to have brown urine and black material was seen in their stomachs and small and large intestines. But these changes, according to the study were only due to the anthocyanin content of purple corn. On the rats’ blood chem, cholesterol, triglyceride, and phospholipid levels were noted to have lowered significantly in both male and female rats in the 5% group. According to the article, such results were toxicologically insignificant. In the end, the study said the no-observed-adverse-effect-level was seen to be 5.0% in the diet for the make and female subjects for purple corn color extract considering the present conditions in the test. This indeed is good news for purple corn businesses and for those who want to try this super food but are wondering about its toxicity. Some food crops and herbs that are observed to have powerful health effects are sometimes also found to have some toxicity level. Some fish, for instance, which are allegedly good for health, have been found to have high lead and other harmful metal contents. The lab test on purple corn described above were done with rodents, but many experts believe that results from tests done with rats are just a few steps away from being somewhat similar with the results of tests done with humans. Of course, it remains to be seen how the extracts would affect human subjects. But at least, with these test results on rats, we have an idea. 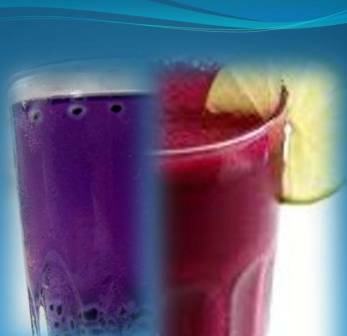 Immediately before this issue, we shared about purple corn juice sub-lingual intake on this blog. Now, we like to show you how sub-lingual intake goes perfectly hand in hand with water therapy for getting good health, and especially during an ailment. 1. 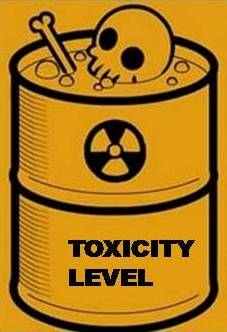 In detoxification. Water therapy early in the morning helps your body eliminate toxins from its system. Early morning is when your body does its detox work. Water therapy will enhance this function to ease elimination through the bowels and urine. 2. Purple corn juice taken sublingually is easily absorbed in the body and helps the natural detoxification of the body systems when done early in the morning. The lymphatic system is especially helped, since it deals greatly with detoxification. 3. The purple corn juice you swallow [after your 2-minute sublingual intake] is immediately absorbed by the digestive system since water therapy detox has already been started. After washing out your system clean, the purple corn juice you swallowed can more easily do its work of promoting good health. After water therapy has cleared the path, your purple corn juice can easily be put to work. Sublingually, it has bypassed the digestive system and a good amount has already gone directly to your body systems. But not all the purple corn juice in your mouth can be taken sublingually. What remains should be swallowed by your mouth. Anyway, what is swallowed won’t be too hindered by the digestive system since in it has been cleared by water. So, in a sense, purple corn juice is also absorbed well during digestion when done 30 minutes after water therapy early in the morning. If you have an ailment to treat or if you want improved health, sublingual purple corn juice and water therapy is a powerful recommendation for you. How early is early in the morning? We recommend 5 or 6 am. If done daily, this routine has been observed to powerfully improve health conditions. Speedy Health Effect Under the Tongue! Here’s a powerful tip on how to maximize your purple corn juice intake. Instead of gulping down the juice right after you drink it, let it stay under your tongue for 2 minutes. Better yet, bend your tongue by pressing it hard against the roof of your mouth to fully stretch and expose the underside of your tongue–while you let the purple corn juice you sipped stay in your mouth. You see, underneath your tongue are multiple blood vessels which are thin enough to be easily penetrable by purple corn juice. If you let the juice stay under the tongue for at least 2 minutes, a good amount of it penetrates the blood vessels and goes directly to your body systems instead of having to go to your stomach and undergo the long process of the digestive system. With sub-lingual (under the tongue) intake, you bypass the digestive system and go straight for the body systems and organs. This way, you get faster health results! After letting the juice linger under the tongue for at least 2 minutes, you can then swallow it. Do this thrice or 4 times (especially if you’re sick with something) and then you may gulp the rest of the juice to enjoy its fresh, delicious taste. You may ask, why do the sub-lingual intake? Allowing the purple corn juice to undergo the digestive processes may reduce its health effectiveness due to the digestive enzymes and acid that will come in contact with it during digestion. Also, it will take hours before your body finally absorbs it. With sub-lingual intake, you spare the juice of the digestive enzymes and acid that might reduce its potency and instead take it directly to your system full force. Moreover, you don’t have to wait for hours before your body absorbs the health nutrition of purple corn. It only takes a few seconds to a few minutes. You can do sub-lingual intake with purple corn capsules, too. Simply take out the contents from the capsule, dissolve on water, and let the solution stay under your tongue for 2 minutes before swallowing it. With purple corn pills or tablets, let them melt under your tongue. To most people, purple corn is a strange product. Most people I’ve talked to never saw a purple colored corn in their lives. They get curious, and all the more when they find out the powerful health benefits of this strange corn from Peru. But then they wonder, is it good for them? What are the side effects, if any? What if they’re taking some maintenance medicine? Will there be complication? The next thing you know, they ask you where it can be bought, especially if they’re not from Peru. You may be among them–you’ve heard of purple corn supplements and are interested to try it. But you have lots of questions about it. You don’t know where to go or who to ask. Well, Purple corn Glimpses is here to help you. You can drop in any time to see the latest articles here and get some tips on how to use the products. And talking about how to use the products, you may also ask us about the proper dosage to take for certain ailments–or for one with normal health. To do your inquiries, simply use the comment space by clicking on the “Leave a Comment” link on the top right side of every article. Then we’ll get to you as soon as we can. We can also point you where you can buy purple corn supplements–juice, capsules, powder, and raw materials–online to enjoy delivery of the product to your place. In short, Purple Corn Glimpses can be your health coach on purple corn supps. We can help you maximize your use of the product for total health effects! Get updates and fresh infos on purple corn when you visit this site regularly, and you may do your inquiries here as well. We can also coach you on how to get started with your purple corn business if you opt to have one in the future. We have made this site available for folks who are looking for an alternative health, fitness, and healing product that’s delicious and easy to take, without any complications. Purple corn is it! So, start being a regular visitor here and also help us spread the word around to your family and friends! “Evidence of toxicity from purple corn extract was not found,” says a report submitted by the Rainforest Botanicals LCC (a natural food supplement company) to the Office of Nutritional Products, Labeling, and Dietary Supplements of the Food and Drug Administration or FDA in February 2005. Furthermore, the study concluded that based on the proofs derived from the animal tests for pesticides, heavy metal, and caffeine levels done on purple corn, it may be safe to assume that purple corn (particularly that variety from Rainforest Botancals) is safe. As far as toxicity is concerned, the study showed that no proof of animal or human toxic, cytotoxic, or mutagenic effect to healthy cells was evident. With tests on heavy metals, pesticides, and caffeine levels, purple corn has also been found to be safe. Mercury, lead, arsenic, and cadmium were not traced in “detectable amounts” as well as pesticides. caffeine contents were found to be negligible. The high anthocyanin content in purple corn was also found to be safe, and the study cited published reports on how the corn “failed to cause hepatotoxic or nephrotoxic effects” in rodents that severely lacked glutathione even after an acute dose of 4500 mg/kg. 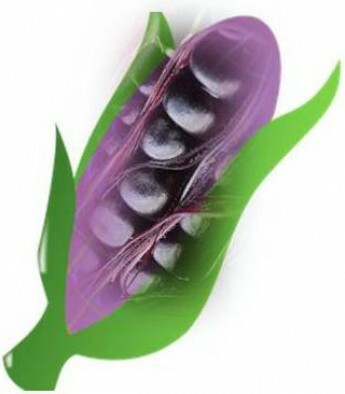 Purple corn is safe, and it follows that any supplement derived from pure Peruvian purple corn, provided it has no additives or preservatives harmful to health, is also safe. Taken regularly with the right dosage will give you safe health benefits from its various properties–anti-hypertension, anti-heart diseases, anti-cancer, anti-inflammation, anti-aging, anti-obesity, and anti-diabetes, to name a few. There is no need to fear any side effects from taking pure purple corn supplements because purple corn has been proven safe and beneficial and passed FDA standards. Thus, when buying purple corn products, make sure to get nothing less than those with approved and high quality. Look at the label to see if any harmful additives or preservatives have been added. The best kinds of purple corn crops are often those that are harvested from organic farms like those coming from Peru itself. These farms are rendered free from any chemical application on both the soil and the plants and crops. Moreover, this also means adjacent farms are also chemical free. With the kind of food available in our modern world today, tumors seem to just suddenly pop up in people, sometimes even in healthy people. 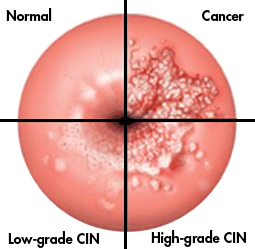 Tumors are often caused by carcinogenic elements in food, like chemicals applied on it, food cooked directly on fire, chemicals in meat, and the like. When bad or dying cells stick together, they become tumors. The good news here is about the purple corn anti-tumor benefit. Purple corn has been proven in clinical studies to have cell-protecting contents called “anthocyanin” which is a powerful anti-cancer antioxidant. It is said to inhibit the growth of carcinogen triggered tumors in rodents and is believed by some health experts to produce the same effect in humans. In the Philippines, there have been lots of testimonies on how purple corn intake was able to thwart the development of tumors and arrest the activity of cancer cells in the body. For cancers and tumors, we recommend taking half glass of purple corn juice 3 times a day. In worse cases, we recommend 1 glass 3 to 4 times a day, or more. Your body absorbs the right amount of anthocyanin as needed. Thus, cancer patients, needing more nutrition in the body, will take in more than usual. The key here is to take purple corn supplements while the patient is still able to take in food and drinks. Stage 4 patients often lose the ability to swallow anything because their bodies reject food or even liquids. Don’t let it come to this before applying purple corn supplements. We also highly recommend taking sugar-free purple corn supplements, like those in capsule form, for a more effective treatment. Sugar feeds cancer cells, making the ailment worse. So, take in purple corn without any sweetener. You may also take sugar-free purple corn juice, but this often requires special orders. Finally, the best is always preventive rather than curative measure. Before anything worse happens, start taking purple corn supplements today. Build up your immune defense system so that your body can have much better chances of fighting off diseases. Carcinogenic elements are around us all the time–pollution, chemicals, exposure to harmful radiation, and stress, to name a few–and we need natural health supplements to combat them on a regular basis. If you want health, fitness, and weight loss, you need to know about the importance of breakfast and purple corn. Don’t ignore them. You have to take them seriously each day. And fact is, some health experts even say ignoring breakfast can send you early to your grave. 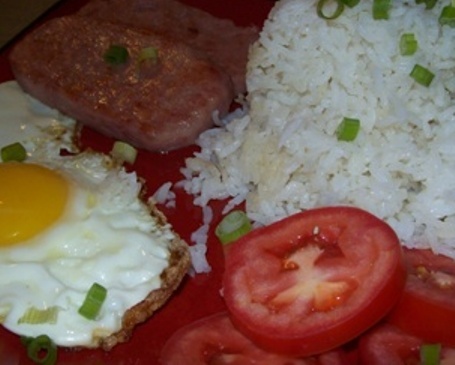 Breakfast is breaking the fast you did from your supper the day before to breakfast today. That’s usually 11 to 12 hours of fasting. Imagine how starved your digestive system is, and also how cleansed and ready to take in food–and readily and quickly absorb nutrients. But then, you skip breakfast and give it zero nourishment. That will affect your health negatively. And if done daily, it can weaken your immune system and body organs, like the heart. Or, you eat unhealthy food during breakfast, like junk food, candy and other synthetic sweets, softdrinks, or French fries. Some take nothing in the morning but black coffee. Imagine the punishment you give your starved body. If you don’t eat breakfast, your digestive enzymes and acids attack your digestive flesh and result to serious ulcers. Worse, some people skip breakfast and then have a feast at lunch. That will cause your stomach lining to suffer stress and damage eventually. But if you take healthy breakfast–like fruits, rice, eggs, fish, soya milk, nuts, some oatmeal, plus purple corn–you feed your body well after a long fast and cause nutrients in food to be absorbed better and faster by the body. And just imagine taking in all the health goodness of purple corn–be it capsule or liquid juice form. And imagine doing it daily. It won’t be hard to see yourself living to a ripe old age still up and about and healthy. Moreover, eating healthy breakfast with purple corn helps you develop a sharp mind even in old age. Purple corn helps de-clog blocked blood vessels so that fresh supplies of blood always get to the remotest part of the body, even the brain. Steady supply of fresh blood means steady supply of oxygen, too. That means sharp mind. And together with a nutritious breakfast, your mind can perform at peak levels always. So keep in mind–breakfast and purple corn. Take them daily.